February 22, 2002: 330 children got a different look at history this day—history they could see, hear, and touch. It was a triumph of planning and coordination, and even when a light rain caused some last-minute changes, everything proceeded smoothly. Thanks to the efforts of many volunteers and teachers, these children learned that history isn't just something you read about in books. Undoubtedly, the benefits to the children will extend beyond this day of "living history". In weeks to come, back in the classroom, those history textbooks will also be a little bit more alive. 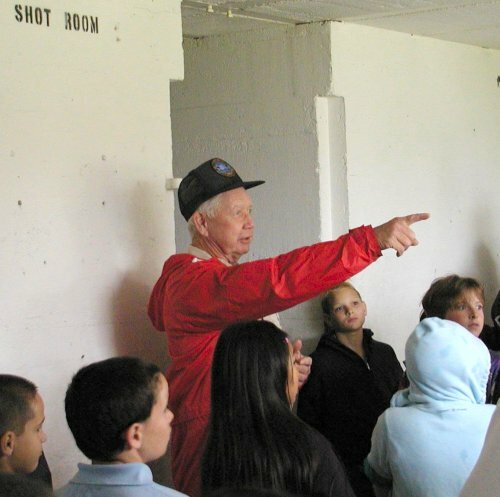 Docent Waldo Rowell explains the history of the guns. 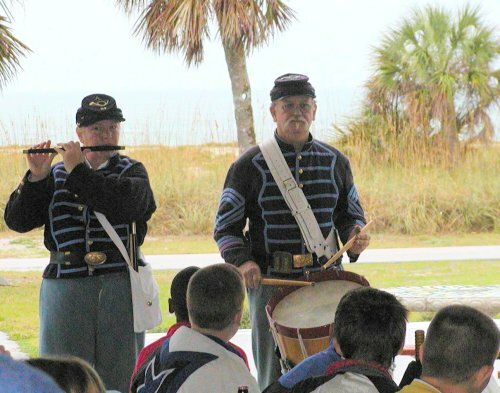 Learning about the music of the Civil War era. A young reenactor demonstrates how the cannon was fired by pulling a cord. 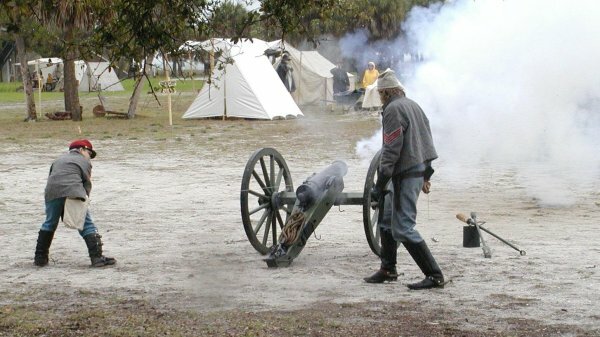 On this day, the repeated firing of the cannon was used to coordinate the movement of study groups between interpretive stations. Copyright notice: All rights reserved. No part of the material on these pages may be reproduced or utilized in any form without written permission from the copyright owner.